XFP transceiver is for transmitting optical signals, the transmission medium is an optical fiber. Low loss optical fiber transmission, transmission distance, has a strong advantage in terms of long-distance transmission. Optical transmission mode，the loss is low and the transmission distance is far.It has a strong advantage in terms of long-distance transmission. The basic function of the XFP transceiver：photoelectric conversion. Single-mode optical transceiver for long-distance transmission; multi-mode optical transceiver is suitable for short-distance transmission. 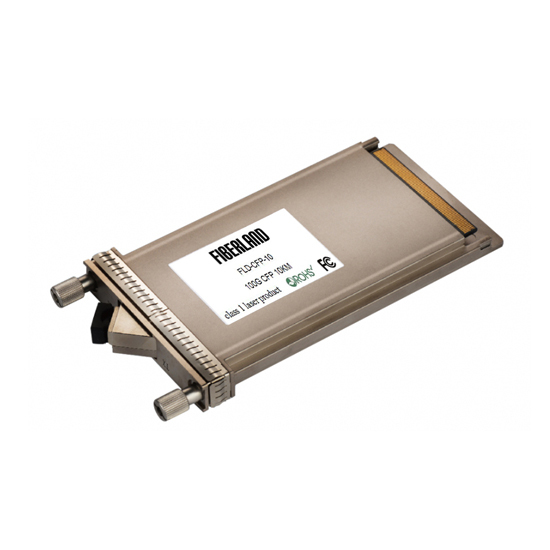 Fiberland as a professional and reliable optical transceiver manufacture, we offer the products from 155M to 100G cover GBIC, Bidi/SFP, SFP+, XFP, XENPAK, X2, CWDM&DWDM, CFP2. The modules are compatible with Cisco, Avago,Extreme,Huawei, Zyxel, Juniper, Alcatel, D-Link, HP switch etc.